 Board of Directors - USPh - U.S. Physical Therapy, Inc.
Jerald L. Pullins has served on our Board since 2003, and was appointed Chairman of the Board on May 17, 2011. He is currently engaged in the development and management of private enterprises in the healthcare field. From October 2007 to the present, Mr. Pullins has been the Managing Member of SeniorCare Homes, LLC, which develops, owns and operates supervised, residential homes for senior citizens with alzheimer’s, dementia and other memory impairment conditions. Since January 2013, Mr. Pullins has been Chairman and CEO of Baldwin Brothers Cremation, LLC, which owns and operates facilities providing cremation, funeral and related services. From 2007 to May 2013, he served as Chairman of the Board of Directors of Pet Partners, LLC, a private enterprise involved in the acquisition and management of primary care, small animal veterinary hospitals. Mr. Pullins was elected a director of Live Oak Bank, Inc., a publicly held financial institution, in 2011. Christopher J. Reading was promoted to President and Chief Executive Officer and elected to our Board effective November 1, 2004. Prior to 2004, Mr. Reading served as our Chief Operating Officer since joining us in 2003. From 1990 to 2003, Mr. Reading served in various executive and management positions with HealthSouth Corporation where most recently he served as Senior Vice President of Operations responsible for over 200 facilities located in 10 states. Mr. Reading is a physical therapist. Lawrance W. McAfee was promoted to Executive Vice President and elected to our Board effective November 1, 2004. Mr. McAfee also serves as our Chief Financial Officer, a position he has held since joining us in 2003. Mr. McAfee’s prior experience includes having served as Chief Financial Officer of three public companies and President of two private companies. Mark J. Brookner has served on our Board since August 1998. Mr. Brookner is currently a private investor. He served as our Chief Financial Officer from 1992 to 1998 and as our Secretary and Treasurer during portions of that period. Harry S. Chapman has served on our Board since August 30, 2010. Mr. Chapman is the Chairman and Chief Executive Officer of Chapman Schewe, Inc., a healthcare insurance and employee benefits consulting firm, and since January 1, 2013, also serves as Managing Director with Higginbotham, an insurance, risk management and financial services firm. Previously, he served as a Corporate Senior Vice-President and Managed Care Officer of CIGNA’s South Central Region, with responsibility for HMO and PPO plans in several states. Mr. Chapman’s experience also includes having served as head of EQUICOR’s Health Plan and sales operation in Houston and as a Regional Vice-President for Lincoln National Insurance Company’s Central Region. Dr. Bernard A. Harris, Jr. joined our Board on August 23, 2005. Since 2001, Dr. Harris has been President and Chief Executive Officer of Vesalius Ventures, a venture capital firm that invests in early stage medical informatics and technology. Since 2006, Dr. Harris has served as a Class III director of Sterling Bancshares, Inc., a bank holding company. From 1996 to 2001, he served as Chief Medical Officer and Vice President for Space Hab, an aerospace company. Dr. Harris is a former astronaut, having completed two space shuttle missions. He completed his residency in Internal Medicine at the Mayo Clinic and trained as a flight surgeon at the Aerospace School of Medicine at Brooks Air Force Base. Kathleen A. Gilmartin has been nominated to serve on the Board for the first time. Ms. Gilmartin is the former President and Chief Executive Officer of Caring Brands International and Interim HealthCare Inc., providers of home health care, skilled nursing, therapy and hospice care. Ms. Gilmartin’s career spanned twenty-five years with Interim HealthCare Inc. where she served as President and Chief Executive Officer from September 2008 until her retirement in February 2017. Ms. Gilmartin continues to serve as a director of Caring Brands International and Interim Healthcare, Inc. Ms. Gilmartin currently serves as a director of The Alliance of Home Health Quality and Innovation, a non-profit, national consortium of home health care providers and organizations. Since July 2017, Ms. Gilmartin also has served as a director of Quick Weight Loss Centers, LLC, a health and wellness company, focusing on weight loss programs, and BCI Burke Co., a playground equipment manufacturer. Ms. Gilmartin also is a Registered Nurse. Reginald E. Swanson joined our Board on September 6, 2007. Since 2007, Mr. Swanson has been the Managing Director of STAR Physical Therapy, LP, a subsidiary of the Company. Mr. Swanson is founder of STAR Physical Therapy, LLC, and from 1997 to 2007, was its president and managing member. He is a certified athletic trainer and has been involved with sports medicine and physical therapy for over 25 years. Clayton K. Trier joined our Board on February 23, 2005. Mr. Trier is a private investor. He was a founder and former Chairman and Chief Executive Officer of U.S. Delivery Systems, Inc., from 1993 to 1997, which developed the first national network providing same-day delivery service. Before it was acquired in 1996, U.S. Delivery was listed for two years on the New York Stock Exchange. Mr. Trier was a founder of Digital Music Group, Inc. (“DMGI”) and from September 2005 through May 2008, served as its Chairman of the Board. DMGI, listed on the NASDAQ in 2006, acquired the digital rights to master recordings, converted the recordings to digital format and sold the music through online retailers. Since 2008, Mr. Trier has served as a director of St. Luke’s Health System, an operator of several hospitals in the Houston, Texas metropolitan area where he also serves as Chairman of the Audit & Compliance Committee. From 2015 through February 2018, Mr. Trier served as a director of Fenix Parts, Inc., a leading recycler and reseller of original equipment manufacturer automotive products.